It seems like guys at Microsoft left the photos of their secret phone to be grabbed by someone and were busy sleeping. Meanwhile some hard working guys at Gizmodo pounced on the opportunity to bring the world a sneak peek at Microsoft’s new cell phone – Pink. Here we have two images that they say are of Microsoft’s “Pink” smart phones codenamed “Turtle” and “Pure”. The two images obviously show two different models and we can expect any one of them or both to hit the shelves. The much anticipated Microsoft’s “Pink” phones are nowhere near the iPhone-killer that most of us assumed it would be. 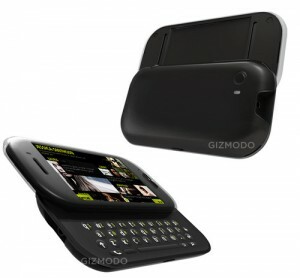 Just by observation, we can say that the phone slides open to reveal a thumb keyboard. What we can learn from this is very limited. The styling of the Turtle is aimed at a more youthful audience and takes on the Palm Pre head-to-head, resembling it very closely. The Pure looks like on of the latest smart phones from HTC. It looks much subtler than the turtle, yet not suitable for the matured consumers. Clearly, the target audience is the youth. The much anticipated Microsoft’s “Pink” phones are nowhere near the iPhone-killer that most of us assumed it would be. 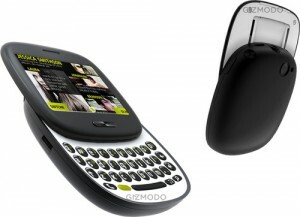 Reports say that the phone will be made by Sharp, and it will mostly be a curvier, more compact version of the Sidekick from Danger, which Microsoft acquired in 2008. Interestingly, Microsoft is reportedly not working with its closest partner, HTC. Each model will feature both Sharp and Microsoft branding on it. While nothing is official yet, there is still chances of Microsoft denying all this as it has done many times in the past. But the evidence seems to be genuine and is hard to give it a miss. Microsoft is still way behind in the smart phone market where Apple, Palm, RIM, Nokia and HTC all make highly credible devices. It is high time for the Redmond Giant to come out with its own beauties.